Hand forged New Mexico-inspired wall design. 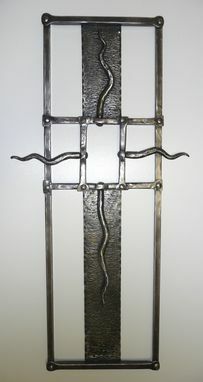 Solid steel, natural metal finish. Client may order alternative finish. Client may also order similiar design in a custom size. (may effect cost). Dimensions: Approx 36" x 12"